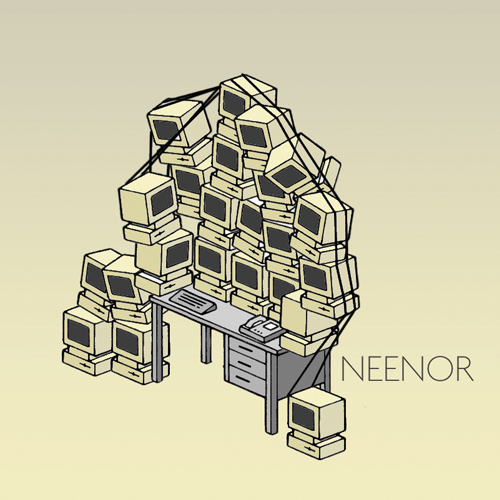 To create and original image for the the cover of Neenor's debut CD release. 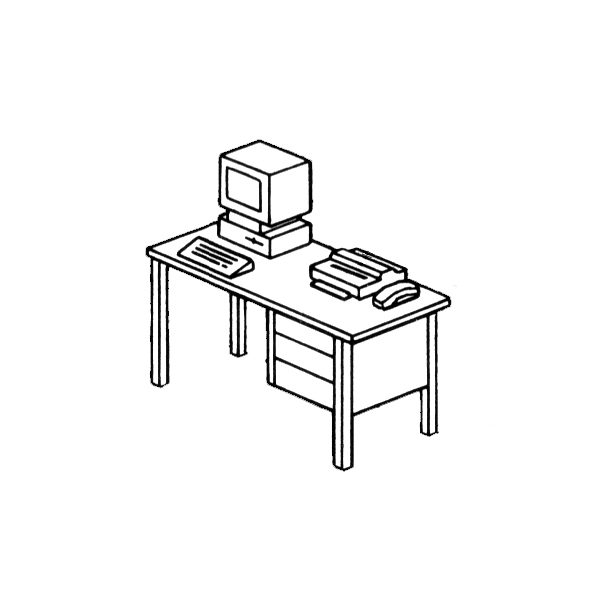 The illustration needed to convey the sometimes overbearing nature of a modern day office job. 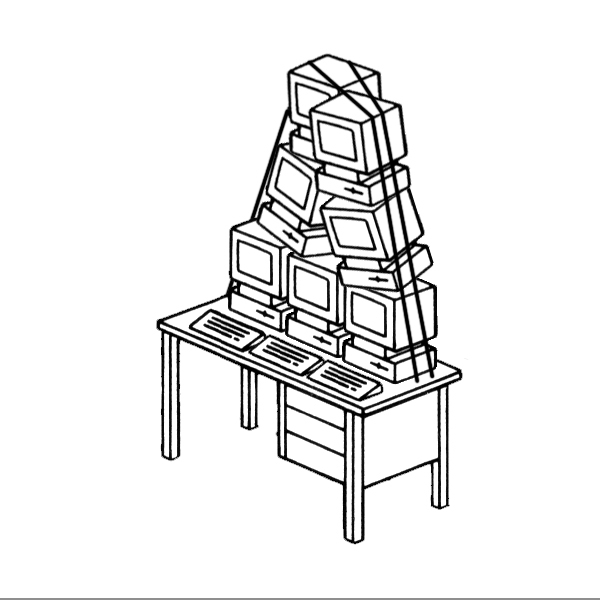 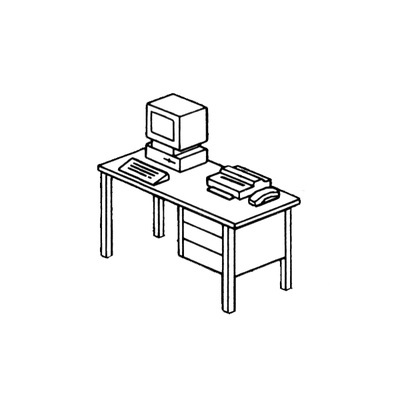 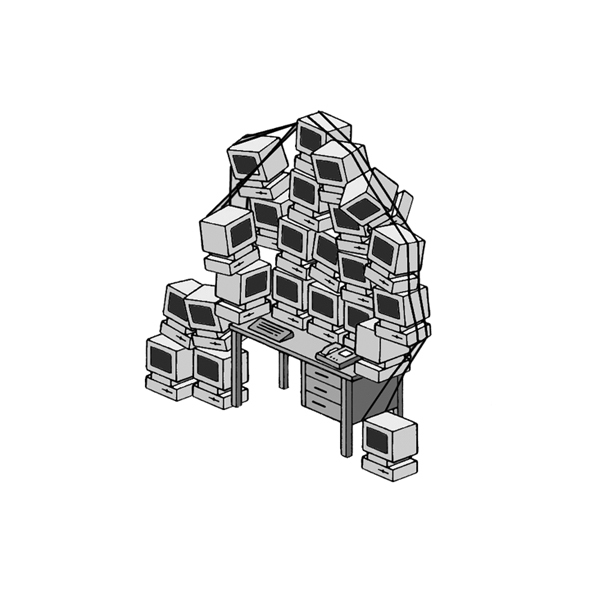 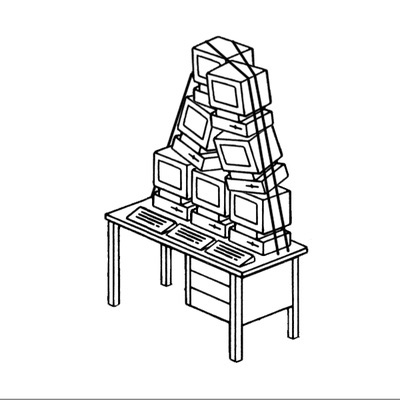 I selected a simple line image of a computer monitor and desk from a children's Science Encyclopaedia and edited it into a precarious, almost sculptural assemblage. I wanted to create a simplified satirical artwork that had overtones of an exaggerated bureaucratic society, with a suggestion of dystopia.